That would take several fingers to press on that length. The artery is so midline if you grab the uppermost vertebral spine lilke grabbing the nap of your neck, the artery should be near under your fingers on either side. During a headache they should be pounding. Press it/them against your occiput. 5) Most often, arteries in temple and occiput need to be done together; though they say, start with one and start adding others every 1/2 minute as needed. They are held 4 minutes. If no relief, try both temple and occiput blood vessels for over 6 minutes. Ann Neurol. 1986 May;19(5):515-6.Lipton SA. One would think the combo of ice packs and blood vessel pressure would do the trick although I see hemicranias (only half head pains) only work about 1/2 the time by digital pressure. I had once read that blue contacts were the ticket but can’t find much about it now. – anyone had any experience with this? This write up on Finger pressure can relieve many migraine headaches hands down is fantastic material for your readers to give thanks for. My hats off for such outstanding information! 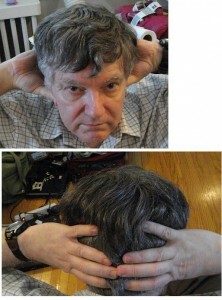 Had an opportunity to recently try finger pressure for migraine on a patient. Bilateral below jaw level temple pressure with thumbs and near midline base of skull with rest of fingers. After a while it was obvious where the blood vessels were, as they were pounding. After 4 minutes, the below jaw level blood vessels were no longer pounding, and after 6+ minutes the near midline base skull blood vessels stopped pounding. Patient looked much relieved. Department of Neurosurgery, State University of New York Health Science Center, Syracuse, NY 13210. OBJECTIVE–To determine pain patterns and relationships in patients with herpes zoster and postherpetic neuralgia before and after topical application of aspirin dissolved in chloroform applied to the painful skin surface. 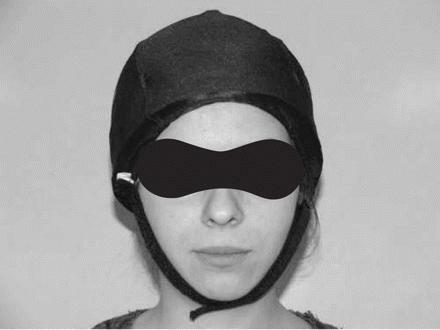 DESIGN–A consecutive series of 42 patients examined and treated in a uniform manner and followed up until their pain subsided or this management mode failed. SETTING–An ambulatory referral private practice. PATIENTS–All patients had pain due to herpes zoster or postherpetic neuralgia and were referred for management of severe pain. None refused. INTERVENTION–Topical application of crushed aspirin tablets dissolved in chloroform. OUTCOME MEASURES–Short-Form McGill Pain Questionnaire. RESULTS–All patients reported substantially decreased pain promptly after treatment, with maximum relief at 20 to 30 minutes and lasting 2 to 4 hours. Patients gradually decreased the use of aspirin in chloroform as pain abated. CONCLUSIONS–Topical aspirin dissolved in chloroform is an effective means of reducing pain due to herpes zoster and postherpetic neuralgia in most patients. The locus of pain origin and analgesia induced by topical aspirin is most likely at cutaneous free-nerve ending pain receptors. The mechanism responsible for the analgesic properties of aspirin is probably not the same as that responsible for its anti-inflammatory properties. Pain. 1992 Mar;48(3):383-90. Erratum in: Pain 1992 Aug;50(2):245. A new topical treatment for acute herpetic neuralgia and post-herpetic neuralgia: the aspirin/diethyl ether mixture. An open-label study plus a double-blind controlled clinical trial. De Benedittis G, Besana F, Lorenzetti A. Pain Research and Treatment Unit, University of Milan, Italy. Topical aspirin/diethyl ether (ADE) mixture was used to treat 45 consecutive patients with acute herpetic neuralgia (AHN) (n = 28) and with post-herpetic neuralgia (PHN) (n = 17) in an open-label study. Good-to-excellent results were achieved by 93% of AHN patients and by 65% of PHN patients. Earlier treatment yielded better results for the AHN but not the PHN group. The topical treatment seemed to accelerate the healing of acute herpetic skin lesions and possibly modulate the severity of the herpetic infection. Furthermore, a striking reduction in the percentage of AHN patients developing PHN was observed in the treated group, as compared with the disease natural history reported in the literature (4 vs. 50-70%). Treatment tolerance was excellent with no adverse effect observed. In addition to the open trial, a pilot double-blind crossover placebo-controlled study (n = 11) compared the analgesic efficacy of ADE with two other NSAID (indomethacin and diclofenac) drug/ether mixtures. Aspirin (but not indomethacin and diclofenac) was significantly superior to placebo as regards pain relief (P less than 0.05). Int J Dermatol. 2001 Aug;40(8):535-8. A randomized parallel trial of topical aspirin-moisturizer solution vs. oral aspirin for acute herpetic neuralgia. Balakrishnan S, Bhushan K, Bhargava VK, Pandhi P.
BACKGROUND: In this study, the efficacy of oral aspirin vs. topical aspirin in moisturizer (Vaseline Intensive Care Lotion) was studied in an open, randomized, parallel trial in patients with acute herpetic neuralgia. METHODS: Thirty patients were evaluated in the trial, with 15 in each group. The patients were randomized to receive either oral aspirin, 375-750 mg three times a day, or 75 mg topical aspirin/mL of moisturizer (5-10 mL, depending on the extent of involvement), three times a day, for 21 days. 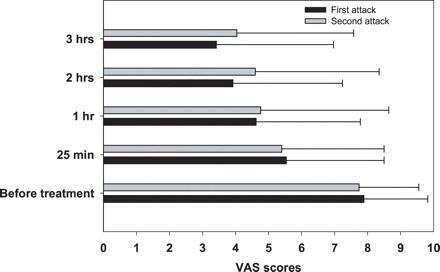 Pain was assessed daily by means of a self-rating visual analog scale and physician assessment. In addition, the skin and plasma levels of aspirin were measured in both groups. RESULTS: The mean time to onset of pain relief was 44 min with topical aspirin and 110 min with oral aspirin. The mean duration of pain relief after a single application of topical aspirin was 5.4 h, whereas it was 3.5 h with oral aspirin. The mean visual analog scale scores for pain with oral aspirin decreased from 68.2 +/- 6.1 on day zero to 43.1 +/- 8.7 on day 21, which was not significant compared with the baseline score. With topical aspirin, the baseline pain score was 77.5 +/- 3.7 and decreased to 6.8 +/- 3 on day 21 (P < 0.001 compared to the baseline score and compared to oral aspirin). The mean plasma and skin levels of aspirin following oral administration were 16.21 +/- 1.1 microg/mL and 1.97 +/- 0.3 microg/mm2, respectively. After topical administration, the mean plasma level of aspirin was 2.29 +/- 0.5 microg/mL (P < 0.01 vs. oral aspirin) and the skin level was 5.96 +/- 0.4 microg/mm2 (P < 0.05 vs. oral aspirin). Treatment tolerance was excellent in both groups. 1) No pharmacy carries ether; might have to crack open a craburator spray jump start to get that…. 2) Chloroform is liver toxic and a general anesthetic – needs good ventitation. Do not put in plastic bottles as it will eat it away in 20 minutes (saw it happen). Try greater & lesser occipital nerve blocks. sometime c3 and supraorbital are needed. Unlike the traditional method, I find 30g needles using .8cc of marcaine without steroid works 75% of the time. A second trick is 16-20 mg decadron im is effective 75% of the time. Query severe years of sinus trouble….. I have several nerve type issues….deafness and what feels like ongoing sinus trouble, blockage though not runny nose ( very dry). Burning sensation and numbness on right side tongue throat and head around the ear and face all on one side and some loss of sensations in my lower body all right sided though this often in the past few months has passed and then returned. Most receently I have “nervy” teeth….almost all of them, dizziness etc, some could be passed of as migraine. 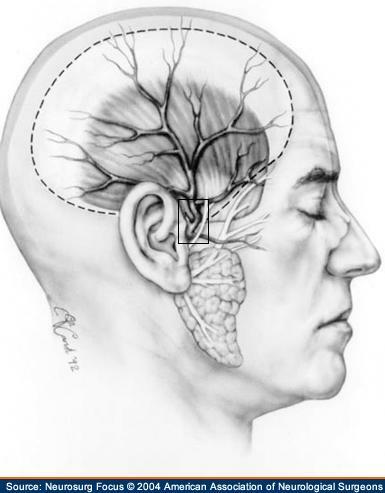 Recent MRI on brain/head and spinal plus numerous CT scans since I had sinus surgery 10 years ago keep coming back clear,bloods indicate a small loss of calcium and a componenet of iron but not iron itself…I was told this was something that helps produce iron ( ferritin). Ongoing symptoms worsening…pressure around right eye roof of mouth along with more numbness sometimes tingling on my upper lip….no explanation as to hwther all of this can be cause by severe inflammation ( also unexplained) which is felt above my top jaw inside my mouth ( also right side) that is in the area under the maxilliary bone sinus area and causes bad tenderness on those teeth ( as I said nervy teeth on all and both sides uppeer teeth now). Many years ago prior to surgery I had bad frontal sinuses. All CT scans show the right side may have a little thickening of the lining. Can bad inflammation like this cause me so many varied numb area even in the lower body, ear etc…as I said every test is clear. Started one week ago on rhinocort…not sure if this is helping, have bad post nsala drip and allergies all year round. 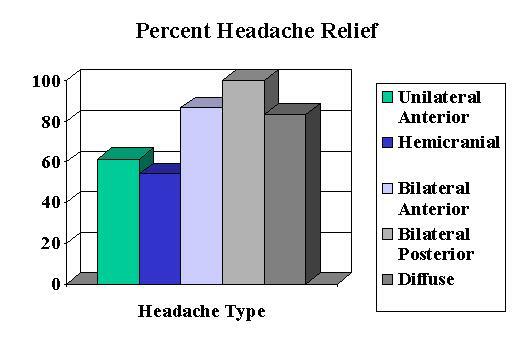 My migraine pressure points # 1 for frontal- ocular migraine headaches and my points # 3 for basilar/occipital migraine headaches were stolen. My migraine pressure points devices were stolen also. My migraine surgery in my migraine places was stolen also. All this happen to me because since 1998 when I discovered my migraine pressure points tell now I work alone without any help from any one. No where in medical books you can find my migraine points # 1 and # 3 before 1998. Dr. Hmaidan and Cianchetti asked my permission to use it and I sent my permission by DHL, but they published it without my name. They do all what they can to hide my work, they even supports the thief’s. Dr. Shevel and too many others doctors in the history did surgery for migraine; I mentioned that in my first book in 2000. And most of them did the artery ligation of the scalp arteries the same arteries that I do. But all of them didn’t have any good results from their surgery, and as all of you know. What I found and no one found it’s before me. 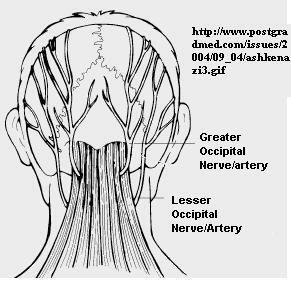 I found the places that I called # 1 for Superficial temporal artery, and the point that I called # 3 for occipital migraine headaches. You will not find in all medical literature any description about my migraine points before the date of 1998 when I discovered my migraine pressure points. 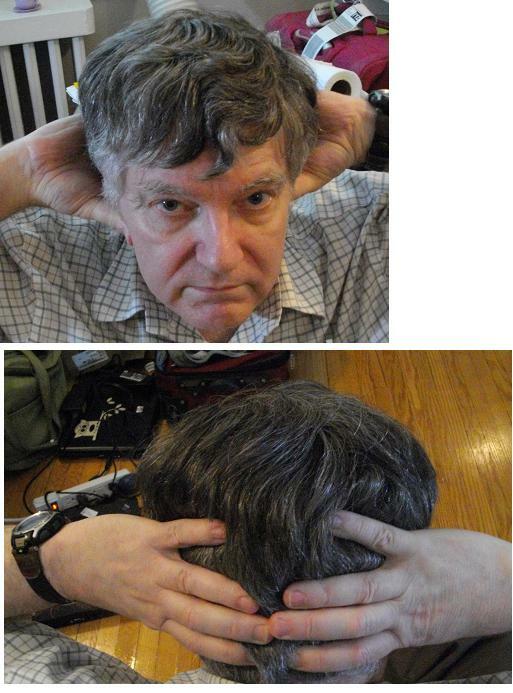 Dr. Shevel stole my migraine surgery on my migraine places, as you can see from his video. My migraine points show me the new migraine way and the simple secret of migraine headaches that was hidden all the past years till I found it. You can see his publication and it’s so easy to see the truth. Place # 2 was known to all the past doctors including Dr. Shevel. First of all: Thank you Dear Admin to give me opportunity to say about my work here. You are correct when you thought about the superficial temporal artery because of you removed the branches of STA at the same time by removing the cyst. If you my finger pressure points for migraine in the point # 1 or point # 3 you will see how all the migraine headaches will stop in less than one minute. You have to be sure that both branches of STA were closed to get this result.